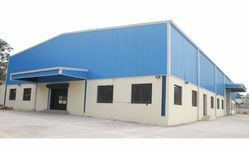 Established in the year 1999, we, “Facade Cladding Systems”, are one of the leading organizations, engaged in manufacturing and supplying a wide range of Commercial Windows, Commercial Doors, Glass Partition, Balcony Railing, Polycarbonate Structures, Polycarbonate Sheets, etc. We also service provider of Glazing Services, Fitting Services, Cladding Services, Fabrication Services, etc. Some of our product range includes Heavy Dome Structures, Outdoor Structures, and Polycarbonate Structures. Further, our esteemed clients can avail Curtain Glazing Services from us. We have successfully completed 10 years of existence and have satisfied our valuable clients by offering these quality assured services. The services that we offer are rendered as per the specifications are given by the customers. We render our services with the help of experienced and trained architects, consultants and builders, who are well abreast of the in-depth knowledge of this domain. Our professionals visit the site location and prepare a proper layout before rendering the services. These services are executed after proper planning and analyzing the site location. In addition, they make sure that each specification given by the client is incorporated while rendering these services. Due to all these factors, we have been able to serve many reputed clients across the nations. We have maintained a reputed position in the industry under the supervision of our mentor, 'Mr. Shailendra Singh'. His vast experience and sound industry knowledge have enabled us to survive in this competitive market. We have a factory at Devdal, Kaman Bhiwandi Road, Thane. Our firm has been backed by a sophisticated infrastructure that is spread over a wide area of land. Our infrastructure is segregated into the production unit, designing unit, warehousing unit, quality testing unit and sales & marketing units, to guarantee smooth and standardized process. Due to our well-armed infrastructure facility, we have been proficient in taking and managing the massive assignments in the most effective way. “The ultimate aim of Facade Cladding Systems is to become a market leader in a very short span”. We are supported by the skilled team of professionals, which help us in rendering the services in an effective manner. The professionals engaged with us hold vast experience and are abreast of the latest technology used in these services. In addition, the services offered by our professionals are in compliance with the international standards and latest market trends. Moreover, our quality inspectors keep a strict vigilance on the entire execution process so as to ensure that the quality approved services are offered to the clients. We hold expertise in offering Commercial Windows, Commercial Doors, Glass Partition, Balcony Railing, Polycarbonate Structures, Polycarbonate Sheets, etc. to our customers. With the help of architects and designers, we are able to offer the services as per their needs and demands. Our professionals visit the site location and prepare a proper layout before rendering the services. The services are executed after proper planning and analyzing the site location. Moreover, the team members engaged with us remain in close contact with the customers in order to understand their requirements. In addition to this, they make sure that each specification given by the client is incorporated while rendering these services. Owing to our expertise in this domain, we are engaged in offering Glazing Services, Fitting Services, Cladding Services, Fabrication Services, etc. The services offered by us are availed by both commercial and household sectors because of our transparent business dealings and ethical practices.